Dyborn Chibonga is the regional head for Malawi and Mozambique at the Alliance for a Green Revolution in Africa (AGRA), an alliance aimed to catalyze and sustain inclusive agriculture transformation for smallholder farmers in Africa. He has more than 25 years of experience advocating for product diversification away from tobacco into other cash and food crops, as well as policy and regulatory reforms that promote food security and rural development. Mr. Chibonga previously served as the CEO of the National Smallholder Farmers' Association of Malawi (NASFAM) for 18 years. During this time, Mr. Chibonga grew the organization to more than 165,000 farmers, making it the largest smallholder-owned membership organization in Malawi. He transformed NASFAM from a small association into a sustainable business and a model for other countries to follow. Under Mr. Chibonga’s leadership, NASFAM established the Agricultural Commodity Exchange for Africa, a platform designed to encourage competitive bidding processes for smallholder farmers when selling their crops. 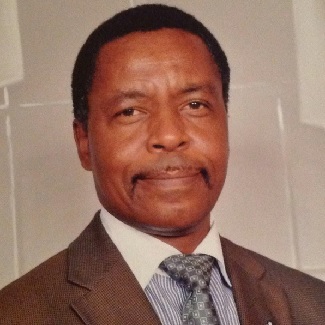 Mr. Chibonga is from Malawi and is a board member of the Cooperative Insurance Company of Malawi, the Jubilee University Council and the Commercial Agriculture Support Services. He holds a BS degree from the Bunda College of Agriculture at the University of Malawi and an MSc in landscape ecology design & maintenance from the University of London, where he also holds a master’s certificate in NGO management. Zoe Feldman is the Managing Director at Almanac Investments, an early-stage venture capital fund focused on the food, hospitality and agricultural tech sectors based in NYC. 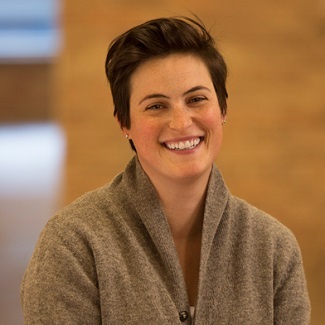 Prior to Almanac, Zoe acted as the Managing Director for CPG Ventures and Investments at Cleveland Avenue, a Chicago-based venture fund and accelerator. Zoe co-created the venture-backed services group to support the development of emerging food and beverage companies. Prior to Cleveland, Zoe spent eight years at PepsiCo as a senior scientist for global research and development. She co-authored a paper that became the basis for the company’s Global Nutrition Group (GNG), a group focused on breakthrough innovation in the areas of fruits and vegetables, grains, dairy, and functional nutrition. She later became the senior associate of business innovation for the GNG, where she focused on new category development and strategy. She also co-led the company’s early efforts in venture capital. A New Jersey native and graduate of Smith College, Zoe holds an MPH from the Columbia University Mailman School of Public Health and an MBA from New York University’s Stern School of Business. 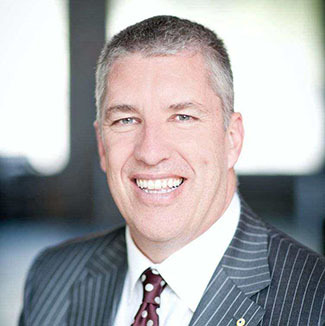 For over 35 years, Paul Gardner worked at a number of Australia’s leading agencies, the last 13 of which he served as Chairman of Grey Group Australia and New Zealand. He left to start his own business consulting practice (pgardner.com.au pty ltd), which specializes in branding and marketing communications as well as greenfield start-ups in Australia and overseas. His current consultancy client base stretches across government, tourism, manufacturing, fashion, contract hire, and digital and consumer exhibitions. Outside of his own consultancy, Paul is currently an investor in a number of start-ups, operates his own podcast network (www.pgardner.com.au), and is a regular guest of The Politics HQ, broadcasting Friday evenings on Sky News. A sensei (master) in Kyokushin karate, Paul is also actively involved in all aspects of Melbourne life through the arts, sports, education, and charity. In the 2008 Queen’s Birthday Honors list, he was appointed a Member of the Order of Australia (AM) for services to charity, the arts, and the advertising industry. Darshita Gillies is a chartered accountant, professional executive coach, and entrepreneur. She specializes in leveraging the power of emerging technologies through integrated commercial applications to address the complexity of emerging technologies and their related societal challenges in a sustainable and strategic way. She is currently a Director at Blu Dot Advisory, working closely with the United Nations, religious institutions, governments, multinational corporations, nonprofit organizations, fellow impact investors, and family offices. 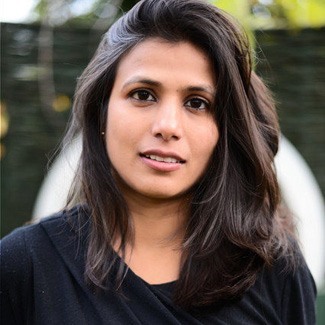 Darshita earned a Master of Commerce degree from the University of Mumbai; a Bachelor of Commerce degree from Narsee Monjee College of Commerce, Mumbai; and studied finance technology and blockchain strategy at Saïd Business School, University of Oxford. Dr. Corinna Lathan is CEO and founder of AnthroTronix, Inc., a biomedical engineering research and development company creating innovative products in digital health, wearable technology, robotics, and augmented reality. Dr. Lathan has served as principal investigator on multiple grants from funding agencies such as DARPA, NASA, NIH, and NSF. Most recently, Dr. Lathan led the AnthroTronix team to develop DANA™, an FDA-cleared, mobile digital health software platform for the Department of Defense as a deployed diagnostic support to evaluate cognitive function during treatment for depression, brain injury, and post-traumatic stress. For this work, she was named a 2017 Woman to Watch by Disruptive Women in Health Care. Dr. Lathan is founding co-chair of the World Economic Forum’s Global Future Council on Human Enhancement and is a thought leader on technology trends that impact health and health care. Dr. Lathan has been featured in Forbes, Time, and the New Yorker magazines, and her work has led to such distinctions as Maryland’s “Top Innovator of the Year,” MIT Technology Review magazine’s “Top 100 World Innovators,” and one of Fast Company magazine’s “Most Creative People in Business.” Dr. Lathan was named a Technology Pioneer and a Young Global Leader by the World Economic Forum and served as chair of their Global Agenda Council for Artificial Intelligence and Robotics. Dr. Lathan serves as a director of PTC, Inc., a global technology provider of Internet of Things (IoT) and Augmented Reality platforms, and is a member of the audit committee. She also serves as a director of the non-profit boards Engineering World Health and the KID-Museum, and she is on the advisory board of the Smithsonian Institute’s Lemelson Center for the Study of Invention and Innovation. Before founding AnthroTronix, Dr. Lathan was an associate professor of biomedical engineering at The Catholic University of America and an adjunct associate professor of Aerospace Engineering at the University of Maryland, College Park. Dr. Lathan received her BA in biopsychology and mathematics from Swarthmore College, and an MS in aeronautics and astronautics and PhD in neuroscience from MIT. 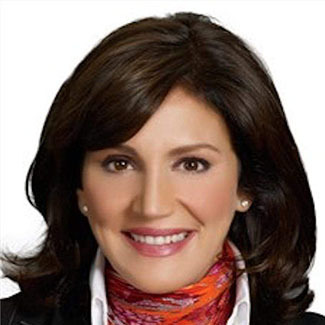 Pamela Parizek is a Managing Director with The Claro Group and co-leads the firm’s Investigations and Regulatory Compliance practice. She is a recognized business leader with over 25 years of experience advising audit committees, c-suite executives and outside counsel on complex accounting, legal and regulatory matters. Pam is a JD/CPA, AICPA certified in financial forensics, and previously served in the Enforcement Division of the United States Securities and Exchange Commission (SEC), conducted sensitive investigations for a business intelligence firm, and led the Washington, DC forensic practice of a Big Four accounting firm. Pam has conducted a wide variety of forensic accounting investigations, including numerous cross-border investigations into alleged anti-bribery and corruption for clients in the US, Europe, South America, the Middle East, Africa and Asia. Her findings have been presented to the SEC, the US Department of Justice, the UK Serious Fraud Office and other US and foreign regulatory authorities – in compliance with restrictive data protection and privacy regimes around the world. Pam holds an A.B. from Harvard College and a J.D. from Northwestern University School of Law. She currently serves on the Board of Directors of Global Kids and the Board of Trustees for the National Museum of Women in the Arts. 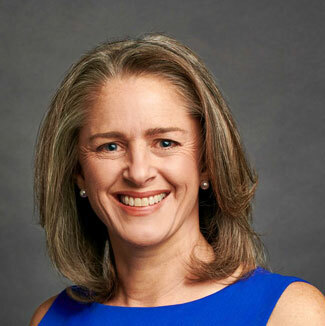 She previously served on the Board of Trustees of the SEC Historical Society and co-chaired the Washington DC Chapter of Women Corporate Directors from 2009-2016. 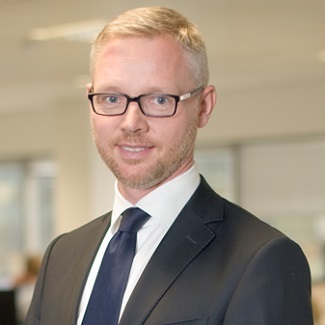 Martin Skancke is the founder and general manager of Skancke Consulting, an independent consultancy advising on the design and management of sovereign wealth funds and other long-term investment vehicles. Before launching Skancke Consulting, he served the government of Norway in a variety of positions over two decades, advising on economic policy issues. During this time, he developed and headed the asset management department of the Norwegian Ministry of Finance, which is responsible for the management of the government pension fund, with assets of more than US$800 billion. Martin began his career in the Norwegian Ministry of Finance advising on macroeconomic policy as an executive officer, deputy director general and head of the section for monetary policy and public finances. He then joined McKinsey & Co. for two years advising international companies on business strategy issues before returning to the public sector. Martin served as director general of the Office of the Prime Minister from 2002 to 2006, and then as director general of the Ministry of Finance from 2006 to 2011. He also served as chairman of the World Economic Forum’s Public & Institutional Investors Industry Agenda Council from 2010 to 2011. He is currently chair of the UN-supported Principles for Responsible Investment and a board member at Storebrand ASA, Kommunalbanken AS and Norfund. Martin lives in Norway where he received his undergraduate degree from the Norwegian School of Economics. He earned his master’s degree from the London School of Economics and Political Science. Noriko Tojo is Executive Director of Otsuka Holdings Co., Ltd., and President and Representative Director of Otsuka Medical Devices Co., Ltd.
Noriko joined Otsuka Holdings as Managing Director (Business Development) and Board Member in 2008 and added planning to her responsibilities in 2011. After 2012, she held various general management positions within Otsuka Group, including President and CEO of Otsuka America, Inc. and CEO of Pharmavite LLC before returning to Japan in 2017. Noriko started her career at Goldman Sachs in Tokyo, Japan. After earning a graduate degree, she continued in investment banking at Lehman Brothers in New York City. She subsequently held positions at a startup marketing company in Tokyo, Japan, and a finance company in Bangkok, Thailand. She joined McKinsey & Company as a consultant in 1999 and became Engagement Manager in 2002. 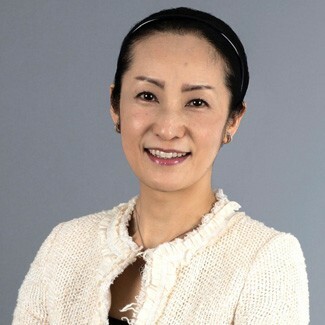 As a venture capital investor for Intel Capital in 2004, Noriko was responsible for Intel’s technology and business development–related equity investments in Japan. In 2002, Noriko co-translated the second edition of “Valuation–Measuring and Managing the Value of Companies,” and she has written articles for professional magazines. She was also a panelist at the 2010 APEC Women’s Entrepreneurship Summit. Noriko graduated from the University of Tokyo with a Bachelor of Laws degree and earned an MBA from Harvard University. She passed the Japanese National Bar Examination in 1999.